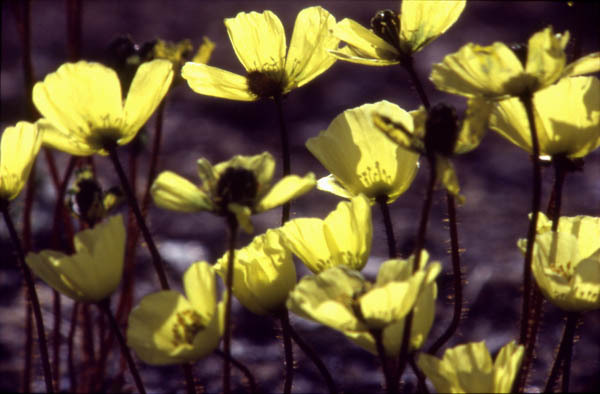 The challenge for the arctic poppy is to grow, flower, and fruit in a very short time. The plant sits on barely defrosted soil which rests on permafrost ground, a hard, cold, unyielding layer of frost just below the surface. Nearly half of Canada is influenced by permafrost. Perhaps that is the reason why so many Canadians complain of cold feet?